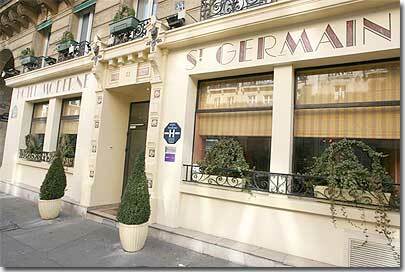 The 3* star Hotel Moderne Saint Gernain Paris – Visit our hotel, tour, description and pictures. As soon as you enter the reception area, decorated in a style reminiscent of Luxembourg Gardens, Nasro and Moulay will welcome you warmly with a smile. They will make you feel at home immediately and can help you to make reservations for your shows, restaurants and any excursions. They speak French, English, Spanish and Arabic. The reception is open 24 hours a day. 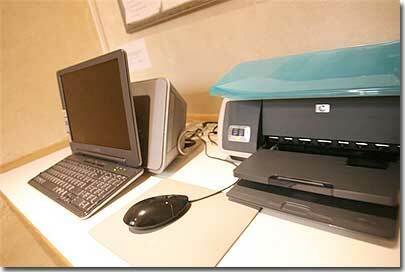 A fax and a photocopy service is available. 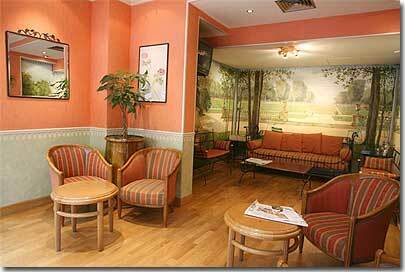 Internet access is free and there are several Internet cafes nearby. There are safes at reception, as well as a luggage room and a public car park nearby. You will have the choice of 45 functional rooms, tastefully decorated in a warm style. There is a mini-bar, a direct-dial telephone and a television. The rooms all have air-conditioning. The bathrooms all have a toilet, a hairdryer and complimentary toiletries. 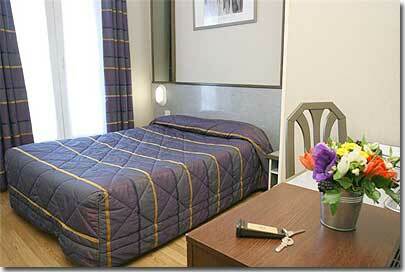 The hotel has 18 twin rooms offering a surface area of 14 m2. They have air-conditioning, a mini-bar, a direct-dial telephone line and a television. There is a hairdryer and complimentary toiletries in the bathrooms. 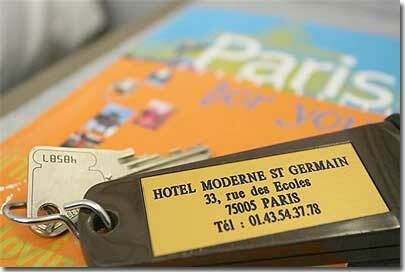 The hotel has 5 single rooms offering a surface area of 12 m2. They have air-conditioning, a mini-bar, a direct-dial telephone line and a television. There is a hairdryer and complimentary toiletries in the bathrooms. 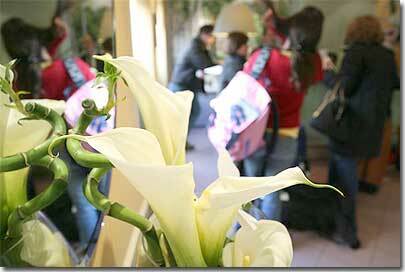 The hotel has 17 double rooms offering a surface area of 14 m_. They have air-conditioning, a mini-bar, a direct-dial telephone line and a television. There is a hairdryer and complimentary toiletries in the bathrooms. You will have the choice of 45 functional rooms, tastefully decorated in a warm style. There is a mini-bar, a direct-dial telephone and a television. The rooms all have air-conditioning. The bathrooms all have a toilet, a hairdryer and complimentary toiletries.. The hotel has 5 triple rooms offering a surface area of 19 m2. They have air-conditioning, a mini-bar, a direct-dial telephone line and a television. There is a hairdryer and complimentary toiletries in the bathrooms. Take advantage of free access to the fitness room at the neighbouring hotel. For the price of 8 euros you may also use the sauna. 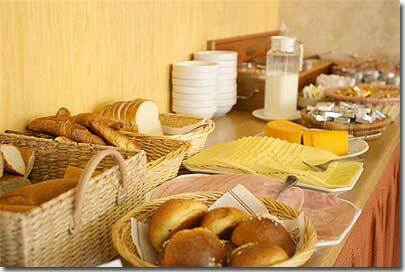 Before you start your day in Paris, come and enjoy a cold continental buffet in the ground floor room. It is served from 7.00 am to 10.30 am. 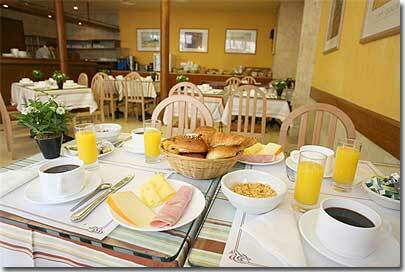 We offer four types of pastries, cheese, ham, fruit juice, etc. Breakfast may also be served in your room.